This recipe from Skinnytaste.com has easily become one of my favourite weeknight recipes. It’s a combination of a few of my favourite veggies plus meat plus cheese. All that equals a great meal. And to top it off each boat is only 153 calories. The recipe is pretty customisable and I often try to add less cheese since I’m aiming to eat less dairy lately. Smothering the boats in oozy, melted mozzarella is really delicious, but the flavour is still there even if you skimp on the cheese. The first time I made the zucchini boats I was pretty rigorous about sticking to the recipe and I actually do recommend you do that. The second time I made them I didn’t measure out the amount of tomato sauce or the amount of cheese, plus I’m pretty sure I added double the amount of sausage, and they were pretty messy. The third time I made them I only really glanced at the recipe and forgot to put the zucchini in boiling water for a minute before adding in all the ingredients. Without that step the zucchini don’t get quite as soft and melty as you want them to be. So maybe for the first few times, perhaps the first five, you should really follow the recipe (if you’re as forgetful as me). It’s delicious every time but you’ll actually know the nutritional value if you do and they’ll look much neater. I usually serve the boats with orzo which works really well. The first time I made the dish I ended up with too much of the filling so I just mixed that in with some extra orzo the next day which was delicious. 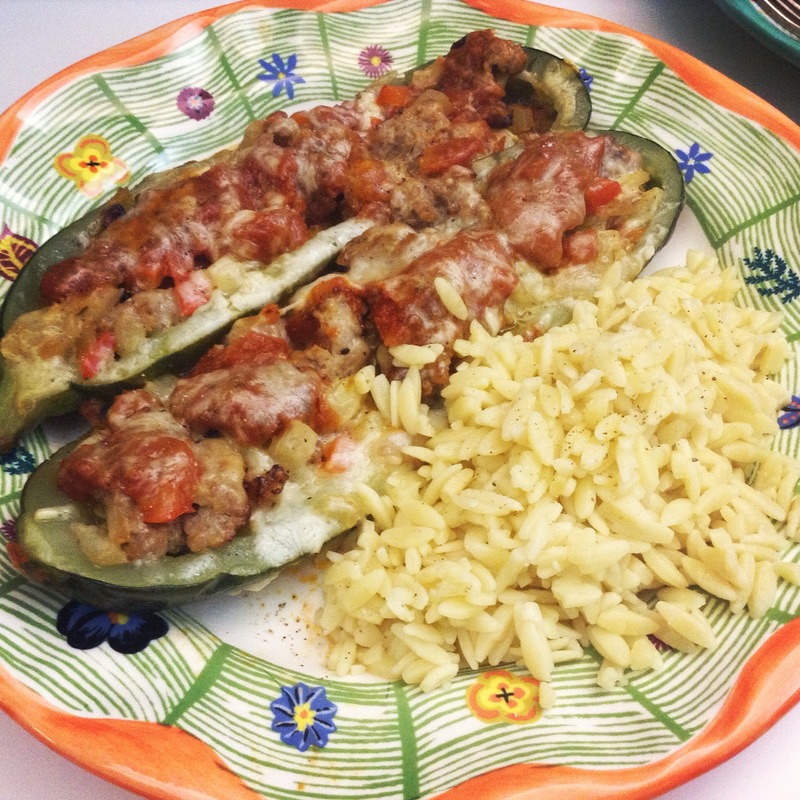 After you’ve tried these out there are a couple other variations on the site including taco stuffed zucchini boats and chicken enchilada stuffed boats. I think I know what I’ll be making later this week.